Do I need a million dollars to retire? People keep telling me that I need at least $1,000,000 to retire comfortably. This concerns me somewhat since I don’t have one million and because it would take about 10 more years to save for one. Now, one million would throw off a cost of living adjusted $40,000 a year in capital income if it is set up as a perpetuity (you never lose principal) and even more if set up as an annuity. For instance, assuming 8% over 60 years will result in $74,812 per year. This income will result in an effective post-credit post-deduction tax rate of 10-15%, so let’s go with the higher one. Now I have $34,000 left but at least I can sleep well knowing that my money is spent in the diligent and productive manner that is becoming of the government, ha! Now what to spend that $34000 on. First things first. Housing. In the midwest I can rent a new 3 bedroom house for about a grand a month. Now, I don’t really want to spend time taking care of such a big house. I mean, if wandering around from room to room was entertaining to me, I might, but still. The house would just feel big and empty. Moving to the coast instead, the rent would go up to $1200/month for a nice two bedroom apartment. That’s just perfect although I admit a 1 bedroom house would be neater and easier to maintain again given that housekeeping is not a hobby of mine. Alright, so $1200 times 12 is 14400, and that’s half the money gone. I now have $19600 left to spend. Food comes down to about $100 per month. I prefer home cooked healthy food which is generally not expensive. That’s $1200/year leaving $18400. If I’m retired I probably won’t be spending too much time driving around. If I wanted to drive somewhere, I’d probably rent a car or go by air. Nevertheless I do like fancy road bikes, so that would be an easy $400 to deprecate and maintain a speedy $2000 carbon bike. This leaves $18000. I would like to keep playing hockey when I’m retired. Hockey is an expensive sport. There are rink fees plus wear and tear on equipment. This could easily cost me a good $500 a year in fees and equipment. On the other hand, it’s the most fun that can be had while wearing full body padding, so I would really like to keep playing. Down to $17500. I like CDs and books. I typically get them used anyway and don’t really see any reason to get new ones. Sadly there’s an upper limit to how much I can read, so maybe $500 a year, tops. That leaves $17000. Almost forgot health insurance. Let’s say $100 a month for a high deductible plan to be on the conservative side. I now have $15800 left. Let’s splurge and say $800 per year on clothes and misc. I’m not sure I could spend that much, but I could try. That leaves $15000. What should I spend the excess money on? Maybe full subscription cable, a basic human need! That ought to be worth $5000 a year if we include subscription costs, TiVo, and a 50″ plasma screen that needs to be upgraded every other year. I don’t like phones and I don’t like cell phones in particular, but I guess I could get an iPhone with the mandatory AT&T enrollment. This phone would allow me to make phone calls by tapping a screen rather than a keypad and allow me to listen to the maybe 2 daily voice mails I get in ANY order I want. I think that’s another $2000 in phone and subscription fees. The good news now is that I still have $8000 left to spend. The bad news is that I still have $8000 left to spend. I guess I could buy a Jaguar on credit to demonstrate how I appreciate “emotional engineering” and “daring visions”. This will allow me to drive around in a car that is “far greater than the sum of its extraordinary parts”. I think I deserve one. Getting an easy loan would probably set me back $7500 leaving $500. It only seems natural that if you have a fancy sports car that can go from 0 to 100 in 4 seconds that you should drive it two blocks down to 7-11 to pick up caffeine at least once a day. This will easily cost me $500 a year leaving me $0. I think the perceived need to retire with large amounts of money comes from the desire to spend retirement as a part of the rich consumer class a.k.a. the upper middle class. However, with more modest consumption goals, I don’t think a million dollars is a requirement for retirement. previous post: What do you see when you look at someone? 19 users responded in " Do I need a million dollars to retire? " I think the major variable is the cost of health care. Right now you’re probably young and healthy so it’s easy to get a high deductible plan for less than $1K a month. But in the future, will you still be able to get that plan? Agree with Calgirfinance. Even NOW healthcare costs for doctors and prescriptions can cost well over $1000/month. I saw how much my mother’s medicines and doctor visits cost. Her other expenses were a pittance in comparison. Now take the trend where healthcare costs are CONTINUALLY going up (unless we get socialized medicine in the U.S. and I’m not holding my breath for that) and there’s a good possibility that in 20-30 years, nearly half your outgoing money will be for healthcare alone. I guess I could buy a Jaguar on credit to demonstrate how I appreciate “emotional engineering” and “daring visions”. I think I will need only a half a million, including the value of my house. I have a small house and don’t live on the coast. But two things worry me. One is medical expenses. (By the way, I didn’t see any savings for health care costs besides insurance in your discussion above.) Part of me thinks that because I have good genes and I exercise, I will do better than average here. And I like to think I can just say no to crazy expensive treatments that have a poor history of actually working and just gracefully accept death (or at least pretend convincingly). But then what if something goes wrong that requires expensive stuff with a good history of working (like AIDS drugs)? The other thing that worries me is change. I can live more cheaply than the average person now partly because I live more like someone from olden times than someone from modern times in many ways. I have a 50-year-old house, 20-year-old car, and no TV or cable or cell phone. I also don’t wear make-up or dye my hair (even though some of it’s grey) and I cut my own hair. On the other hand, I love computers (well, when they work and do my bidding) and ibuprofen and digital cameras and DVDs and CDs. Who knows what new inventions I will want in the future and how much they will cost by the time I am tired of waiting for my turn? I agree, these estimates are always built on the “typical person,” but not everyone is the same. Thanks for breaking the traditional expectation. This is a very positive and cheering post. Down with rules of thumb….and let us just live and save the best we can. Progress in technology has been exponential, so only God knows what will be made available to us in terms of healthcare in 10 – 15 years. Having said that, living frugally and not having excesses never hurt anyone. So this is what I am doing. I think I have an idea, where the one million comes from. The median household income is about $40,000. Multiply that by the classic factor 25, and you get a million. 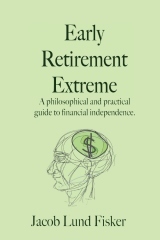 It is assumed that retirees need to live the median expenditure lifestyle. Consider Thailand as an alternative for medical care if you aren’t insured and end up needing an expensive procedure that would bankrupt you in the US. I have two friends who live in Bangkok and work for the foreign service. They’ve been to the doctors and hospital several times, and say the hospitals there are excellent. Most of the doctors were trained at a US University and speak english. Do some research, see what your alternatives are. There are other alternatives to US healthcare. An early retired, non-insured friend of mine here in the US travels to Thailand for his medical care, too, and says it’s so much less expensive, they really spend a lot of time with you, and the Thai nurses are very sweet. It’s quite possible to get your expenses down so that 1M seems like a lot and much more than is needed for ER. But I think people still want to have the bigger nest egg because stuff happens. For example, health care might only be $100/month now but who knows what you may have to pay 10, 20 or 30 years down the road. Also, the 4% withdrawal rate is often recommended as a rule of thumb for a portfolio, but that is typically based on studies which used a 30 year survival period (i.e., did the portfolio have value > $0 at the end of 30 years). So with a 4% SWR there is still a significant possibility of running out of cash in say year 31. (I’m probably going to plan for a 50 year retirement period.) Most of the studies I believe do not take into account expense ratios either so that will eat into the 4% as well. @Lisa, while I think medical tourism is a great idea, it doesn’t the address situations where you need emergency care. One million dollar 30 years from now will not be have the same purchasing power when you factor in the effect of inflation. It has become a norm for most people but retirement money really depends on the kind of lifestyle you want to have and how much money you really need. Even catastrophic insurance won’t cover the post-catastrophe period. I know a woman who was hit by a car. Uninsured motorist. The lady’s bare-bones insurance paid for the hospital care, but the accident paralyzed her from the neck down. There was no coverage for the round-the-clock care she needed after she left the hospital. No coverage for the catheters, trips to the hospital to treat the odd sepsis infection etc. (until of course she hits her deductible. But that’s thousands of dollars every year.) No money to pay her daughter, who gave up her job and moved in to take care of her. On the plus side, it means doing a Medicaid spenddown is easy. I think if you’re going to take the chance, then keeping a DNR order on your person is the only answer. Health insurance costs concern me, too. When I retired in late 2008 at age 45, I had found an individual HI policy which would cost me $470 a month for 2009. For 2011, that premium will have risen by 50%, to $701 a month, making it by far my #1 expense (and this is hardly a Cadillac plan). I saw an online calculator which told me that my HI expense in 2014 will be capped by the HI reform bill passed earlier this year. That will be badly needed because in my long-term ER plan I did not budget for a 50% increase in HI premiums every two years. I am currently living off the dividends of my $1M portfolio although $300k of it is in an IRA, so that $700k is actually generating the dividends to cover my everyday bills with 8% of it left over as a surplus and reinvested. For me, it comes down to Social Security. It is predicted to pay me + wife $43K a year. I wouldn’t count on getting that much, but what if I assume it pays out even half of that? Is that a reasonable assumption (please comment)? That cuts the amount I need to save in half, to $500K. We can live ‘high on the hog’ on 20K SS plus 20K IRA distributions, since we can get by on 20K. I always wonder why no one ever mentions protecting your assets through incorporating, trusts and other asset protecting classes that could protect you in the event of a major financial disaster like a major health problem or lawsuit. I would think that may be the best insurance you could possibly have. Nobody can take what they don’t know you have. This way you could retire on less than a million and still feel financially secure. Ah? Wife? Kids? Schooling? College? Well-written short travesty on society-induced expectations and “normal” behavior! I had good time reading it :). $100/mo for food shocked me too, but I suppose it can be done. I think the most important reason to shoot for 1 million though is to account for inflation. Costs will rise and you want to be able to offset that with increased savings. So even if you have $40k per year being thrown off by that $1 million you can’t expect to spend it all and maintain the same lifestyle. Over time your spending power will erode and you will need more income. I just thought about it and I am saving 3% in a non-company matching 401k account that i can not touch until I am 70+ (by the time i am that old this law will have changed completely). So if I put this into an investment calculator , at 7% return annually with an investment of $100 a month, i could reach $85,000 in 25 years. Yes it’s with an after tax of some 25%, but it’s also liquid, and no penalties for withdrawal! It’s a sad world when Big companies are allowed to off LOANS to be taken out of YOUR OWN 401k ACCOUNTS! Greedy Pigs that like to trick the average consumers by rewording 401ks as “Savings Plans”. Well i think I will become Financially Independent at Age 35, before contributing another dollar into some Rich Controlling Hedge Fund Manager’s Fund! If I could retire and have a million dollars, 40% of it would go to the government for taxes, 40% of it would go to my daughter for my grandson’s ABA therapy, medical expenses, pay off their debts so that they can spend more time not worrying because of the medical expenses that go along with having a very sick child. I would see that this money goes in a fund that can be drawn on to make my grandson recover since he only has a small window of time left. I would have his speech therapy, ABA therapy, tutor and private school and a ABA certified school aide for him and all his medical needs met. As for me I would only take 20% for myself to put in a fund to get allotment payments to supplement my early retirement so that I can stay in my apartment and have enough to go by until I get social security. The reason I want to retire early is because I am being severely harassed at work and I am 55 and I am very proactive in finding another job but haven’t found any yet. If I can’t find such, then I am forced to retire early. I can’t live on 40% of a clerk’s pay. A million dollars would help in three ways. One – my daughter’s family since my son-in-law got a 60% cut in pay a year ago and my grandson is very ill. And their bills are piling up. One other way pays the governement 40% which I would hope would go to the right places. 20% would support me in my early retirement and I would be healthier not working in a hostile working environment. But that’s a dream. Nobody makes a million dollars. Nobody.